As the debate on biomass heats up between power firms and various environmental groups, the Stove Industry Alliance (SIA) is adding its voice to those extolling the green credentials of wood as a renewable fuel source. The group is also keen to highlight the different environmental considerations surrounding the use of wood to heat the home, as opposed to those involved when energy companies burn biomass to produce electricity. Phil Wood, Stove Industry Alliance (SIA) Chairman, comments: “The SIA formed in 2008 with objectives in support of government initiatives to reduce dependency on fossil fuels and to lower CO2 emissions. Up to one fifth of global energy could be provided by biomass without damaging global food production, and that’s a hugely exciting prospect for the future. Whilst the harvesting, transporting and processing of wood to create fuel for biomass power stations could have a significant impact on CO2 emissions, the use of logs in residential stoves does not rely on the same carbon-intensive production chain. In a survey conducted by the SIA, wood burning stove retailers reported that at least 36% of homeowners supply at least half of their wood themselves. With the majority of the remaining wood sourced from a local garage or wood retailer within 5 miles of an owner’s home, or delivered from a logs/solid fuel merchant within a delivery catchment area of approx. 50 miles; the carbon footprint of logs is significantly lower than the use of biomass in industry. Biomass electricity carries an entirely different set of environmental considerations to using wood in residential wood burning stoves – the latter offering a truly environmentally friendly, sustainable means of heating the home. Whilst it is essential that logs are thoroughly dried before burning to improve their energy efficiency, no further treatment of the wood is required. Freshly harvested wood contains a naturally high amount of water, between 65-90% depending on the species. Experts recommend that wood is seasoned for at least a year, preferably two. Consumers can dry their own wood in a wood store or buy dry and seasoned wood from their supplier. However, for immediate burning experts recommend buying kiln dried wood. These have an average moisture content of below 25% and consequently produce 4.5 kW/h per kg, compared to wet/freshly-cut wood and semi-dried logs, which produce 1.0 kW/h per kg and 3.0 kW/h per kg respectively. Using drier wood therefore means that fewer logs can be used to produce the same heat output; preventing the waste of money, labour, transport and storage associated with using more logs, all of which reduces the carbon footprint of the stove. 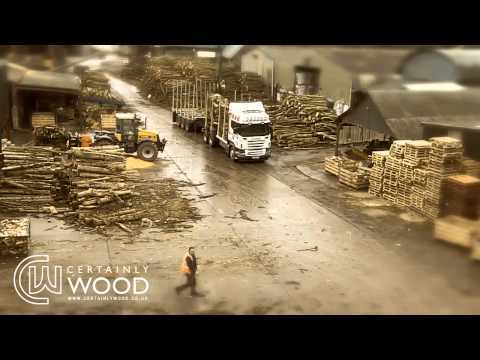 One of the largest companies supplying kiln dried wood, Certainly Wood, uses wood waste to fuel the kilns; making the process sustainable and environmentally friendly. Taking account of the whole life cycle of the fuel, modern wood burning stoves are virtually carbon neutral; with emissions of only 0.008 kg CO2 per kWh1. High-quality wood emits less CO2 when burned than it does with natural decay, and used with a correctly installed stove, approved for burning in smoke-controlled areas, it provides both economic and environmental advantages for homeowners. New statistics from Kiwa GASTEC at CRE, the energy management and low carbon consultancy, training and product testing facility, confirm that replacing a decorative gas fire with a wood burning stove will reduce the carbon footprint of the house by 22%, a figure that rises to 36% when replacing an LPG decorative gas fire with a wood burning stove. The reduction in carbon, when replacing an open fire is 14%. In contrast to estimates from the Department of Energy and Climate Change (DECC) which state that approximately 80% of wood fuel will have to come from imports to meet government forecasted targets for biomass-generated electricity, estimates for wood supply in the residential sector exceed even the most optimistic forecasts for demand. In other words, the demand for the wood required by residential wood burning can be met from sustainable sources for the foreseeable future. 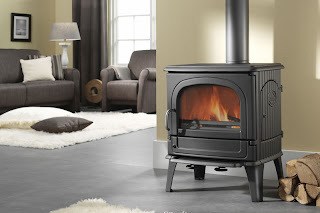 The Stove Industry Alliance (SIA) was formed in 2008 to promote the benefits of wood burning stoves. With more than 35 member organisations, including manufacturers and distributors of stove equipment, the SIA’s objectives are in support of government initiatives to reduce dependency on fossil fuels and to lower carbon dioxide emissions. For more information about the benefits of a wood burning stove, visit www.stoveindustryalliance.com or call 01789 415640.